SelfMadeHero continue to astound with their ongoing releases of biographical graphic novels. Adding to that rich selection is an absolute tome of a book based on arguably one of the 20th century’s most iconic artists. 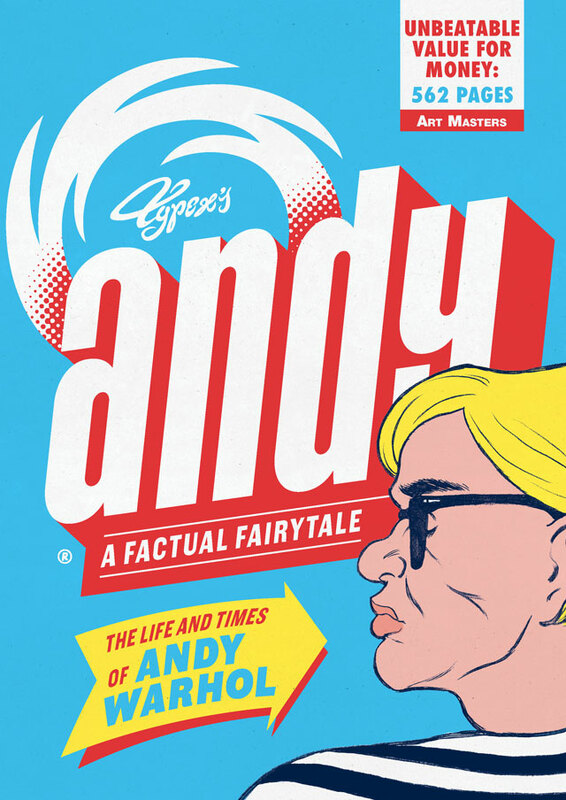 It’s fair to say when we first glimpsed Dutch illustrator, Typex’s work on ’Andy: The Life and Times of Andy Warhol’ we were blown away by the beautiful artwork let alone the sheer volume of panelled pages within a graphic novel! Following Andy Warhol’s early life in Pittsburgh as a working class immigrant to the stratospheric rise of his stardom this is truly an in depth exploration of an icon’s life. Typex’s style perfectly compliments the graphic novel, with a varied range of minimal pages contrasted against pages of vivid colour, reflecting Warhol’s token ‘pop’ art stylings. The story is a fascinating tale showing how from such a humble background one artistic legend rose and eventually rubbed shoulders with the likes of the Velvet Underground and Lou Reed, helping to truly shape an aesthetic of the time. It’s also an incredible glimpse into legendary characters such as Lou Reed, Elvis and Madonna and the term ‘celebrity’ and pop culture. The heavy paper and silver-edging of the book really helps to heighten that sense of Warhol’s work and the vibrant tones of his art. In particular, we loved the ‘card’ pages which offered an introduction to the characters listed within each chapter of the book. These cards are almost presented akin to classic baseball cards with information relating to each character in the story including a brief background history. 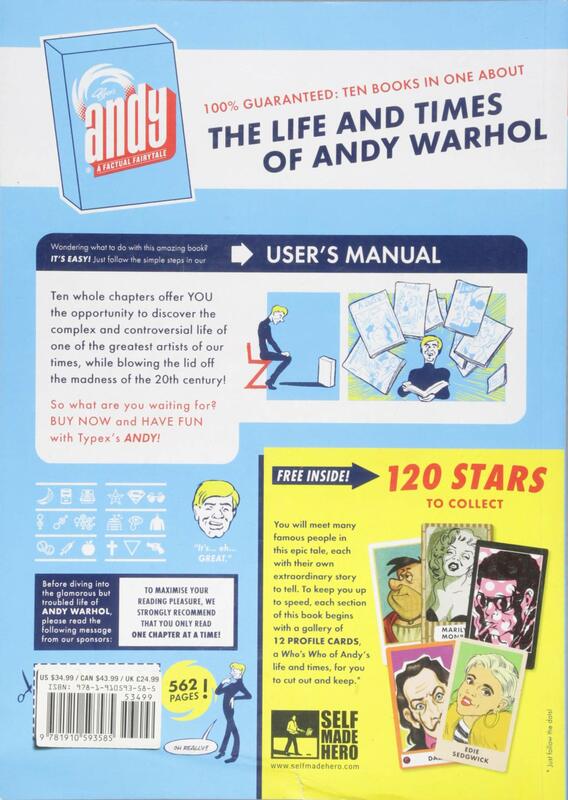 This really set it apart from so many other graphic novels and helps amplify the theatricality of Warhol’s story. It’s no wonder the graphic novel took over five years to finish. At 562 pages It’s an absolutely staggering amount of work and an astonishing achievement by Typex. We can’t wait to see what else he’ll have up his sleeve.